When Wolf went up the mountain on his eighteenth birthday, it was with the intention to commit suicide. But he stumbled into being a guide for three women, and the four became lost and desperate in the rugged wilderness. For five days they stuck together and fought to survive without food, water, or shelter. The novel opens and closes with a letter Wolf is writing to his son, with whom he is finally sharing this story. When these events took place, Wolf was still trying to deal with his best friend's tragic accident. He had moved to California from Michigan with his father, Frankie, and Byrd was the first friendly person he met. His life with Frankie was rough, and even worse now that they were living in a trailer with his aunt and her numerous filthy children. But Byrd was a great friend, and got him out of the house and into the woods, teaching him everything he knew about the mountain. When he became lost, he was able to use his knowledge, and through his experience discovered reason to live. 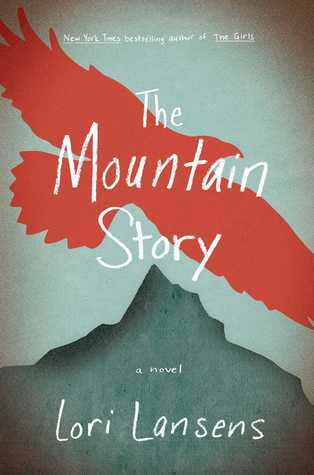 The Mountain Story packs some emotional punches, primarily late in the book, but even before then Wolf's pain was apparent. This kid had dealt with his mother's premature death, constantly sought affection and approval from a distant, alcoholic father, and then felt responsible for losing his best friend. Lost on the mountain, he bonded with the three Devine women - Nola, who had come to scatter her husband's ashes in their special anniversary spot; her daughter Bridget, self-absorbed and training for a triathalon; and teenage Vonn, who came only reluctantly but was perhaps the strongest woman in her family. As I mentioned, this novel was in the form of a letter from Wolf to his son, revealing for the first time his complete story. Sometimes when I read a book like this, I get past the initial introductory part like this letter, get into the story and totally forget that it's supposed to be a story within a story because it's so unnecessary. Here we get also another bit at the end, because there were things revealed in the story that Wolf knew would affect his son. Still, I thought the story would have held on its own. Is this just a way to make it ok to write in the first person? It doesn't matter though. I got so into this story of wilderness survival, I don't care what the outer frame is all about. I loved Wolf. He was so sensitive, but also strong. Nola was so well-drawn she seemed like someone I knew. Bridget was irritating, but in that way of someone you put up with anyhow because they're important to you. Vonn was sort of an enigma, but I really enjoyed getting to know her. Caring so much about these characters made me anxious for their survival, and the result was a very suspenseful story. I spent a few days getting halfway through and then read the remaining 150 pages in one evening on a weekday after work. That doesn't happen often! 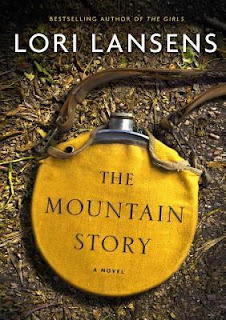 Lori Lansens isn't an especially well-known or popular author, but I have really enjoyed the three of her four books that I've read. Her first novel, The Girls, is about a set of conjoined twins, which is what reeled me in but I was hooked by her complicated and well-crafted characters. I also really enjoyed The Wife's Tale, in which a morbidly obese woman is abandoned by her husband and it snaps her out of a life of inertia. I still haven't read Rush Home Road, though it's actually the most highly-rated of her books on Goodreads. I hope that more people discover Lori Lansens, because her books deserve more attention. If you like character-driven novels with unusual story lines, I highly recommend trying her books.